✅ Trip Verified | The Boeing 737-800 seats are spacious. You have plenty of legroom to stretch your legs. Compared to some airlines that are not low cost it’s way superior. ✅ Trip Verified | This is a cheap airline although £600 round trip to LA doesn't seem cheap enough to justify the terrible seats. Awful seats - they're short, narrow and hard. 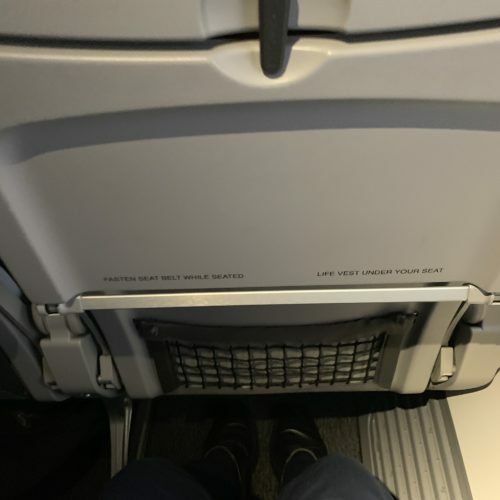 There's very little leg room (31-32" seat pitch like British Airways etc), only by taking out everything from the pocket in the back of the seat in front of me could I sit pretty straight and not have my knees hitting the seat in front. They don't recline that much but if they did the person in front of you would be sleeping on top of you so perhaps that's a good thing. There's no foot rest and I think these are the hardest seats I've encountered. 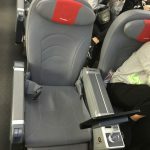 "3-3-3 seat layout super cramped"
✅ Verified Review | The Boeing 787 3-3-3 seat layout on a 10-hour overnight transatlantic flight are super cramped. Unless you are a small person, your hips will rub against the seat and your shoulders encroach into the seat next to you. For that reason, I will not fly Norwegian unless I decide to buy premium economy class. I was told by one of the other passengers that you can usually "bid" about US$220 extra to upgrade to premium economy class. Norwegian will send you an email to submit your bid a week or so before the flight. ✅ Verified Review | Booked Premium economy LGW to JFK return on Norwegian and flights were subbed out to Wamos Air, using A330-200. On the way out we had 4D/4E, old style business class seats but OK, entertainment system old but adequate, service OK. On the return flight, they overbooked Premium so bumped us down to seats 23A/23B. Absolutely dreadful, cramped, no entertainment, surly staff. 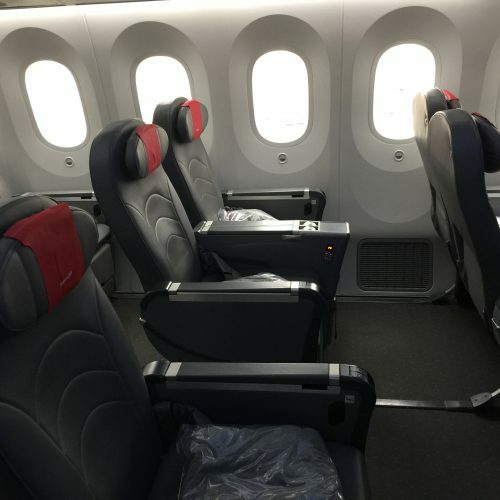 "worth the additional money "
✅ Verified Review | I flew on Norwegian's new Boeing 787. My seat was 3F which was an aisle in the middle. Seats are 2x3x2. Although sold as business class, it is really more like Premium Economy. The seat was comfortable, reclined back and the leg portion went forward. There is a footrest that pulls down and out. Plenty of leg room. 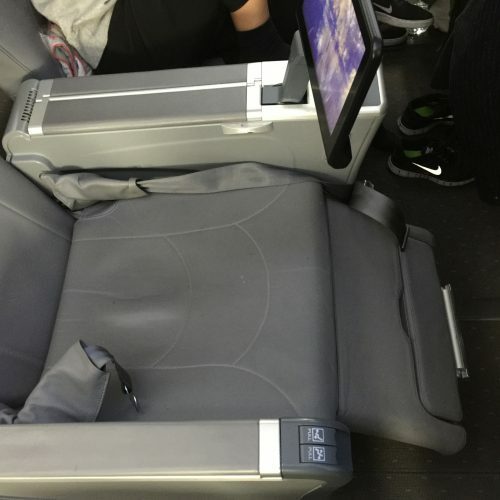 Video monitor is inside the arm rest on the left, and the tray table pulls out from the other arm rest. The new large windows have window darkening features so you don't pull down a shade. The flight attendants can control those if someone by a window doesn't have their shade down and they are asleep. You are not given any amenity kit, but they do provide a blanket - no pillow. 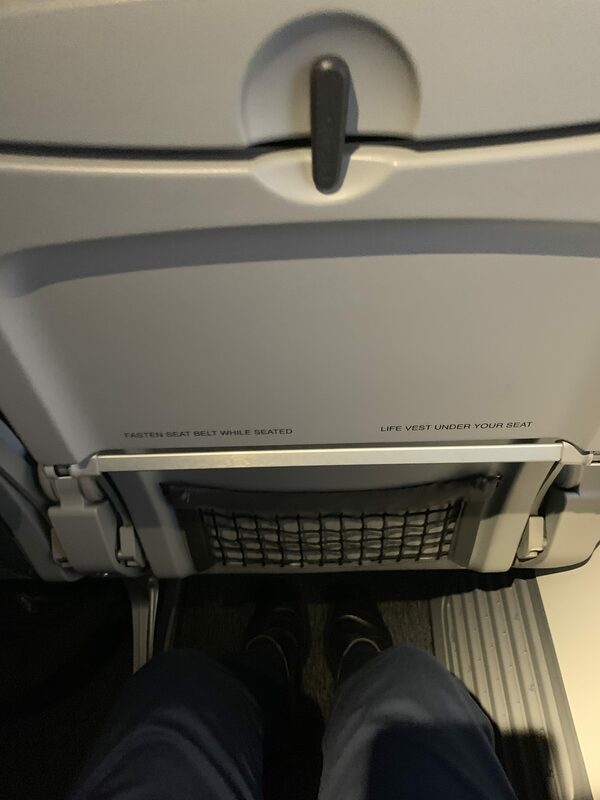 The only challenge I had with these seats is the leg portion doesn't extend out that far so you are left in a semi recline position with your knees bent. After a 9 hour flight my knees hurt! I was dreading this flight after reading the reviews, but it wasn't bad. Premium economy is definitely worth the additional money for this flight. 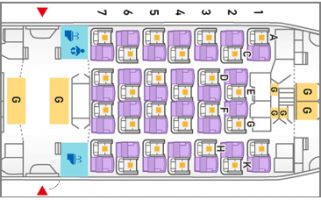 The cabin is broken up into a smaller segment of 5 rows, there is a wall, and another cabin area which I thought was also Premium Economy, but the seat chart says it is economy. If so, that would definitely be a good area to sit in as it is more secluded from the main body of the plane. Service was o.k., food was not that great, but you do get two hot meals. Anything in between and you have to purchase it. I thought the movie selection was very limited but I did manage to find something to watch. Bring your own headphones! They will give you some that are ike ear muffs. Bring your own eye shades, and small pillow if you really want to be comfortable! "seats provide space and recline"
Norwegian Premium Economy seats provide space and recline. With 46 inches pitch, the seat is old school manual, but anyone should be able to find a comfortable position. Recline is about 45 degrees with a pneumatic foot rest. The price I paid was about 40% less than the Premium Eco at LH or AF which offer only 38 inches of pitch. Big difference. Huge value. There are both a universal plug and a USB port to charge your devices. The video screen is about 9 inches diagonally with touch screen so the screen is very adequate. The reaction times on the screen are pretty fast. The seat also has an adjustable head rest with adjustable wings. 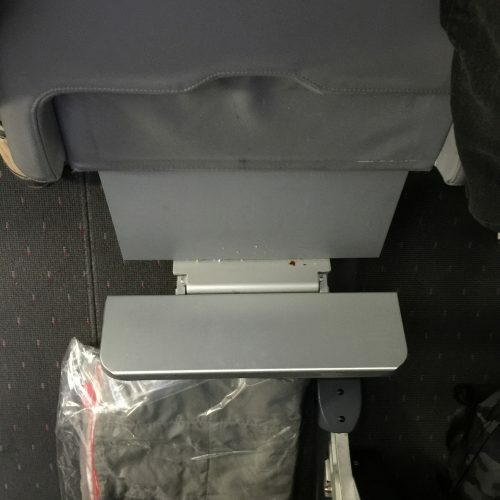 The tray table can be extended 1/2 size or full size to maximize your space. All in all, a fantastic deal. 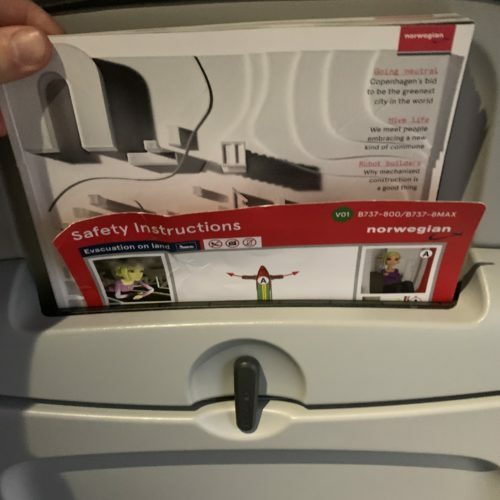 I highly recommend Norwegian Premium Economy. ✅ Verified Review | The seat was comfy and the leg room was spacious. The service was good and the food in the airplane was cheaper than other budget airlines. There were 2 free magazines which were fun to read. 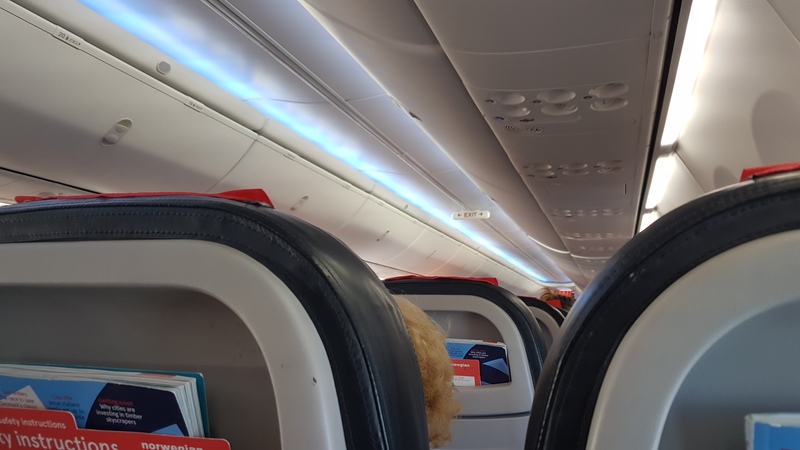 One about Norwegian Air Shuttle and the other one about the food on-board. Got seat 21A and overall happy for the price that I paid. Legroom is very spacious. Padded enough for me to enjoy the entire flight without having to recline my seat. Overall, a great quality for a low-cost airline. I decided to opt for Norwegian for my travel arrangements for my flight to New York from Gatwick. The main reason I chose Norwegian was because of their price and new Boeing 787. I paid £298 return, booking a couple months in advance. I really enjoy the airlines way of allowing you what you pay for to what you need. I was able to keep my ticket price down by opting out for the extras (check in luggage, food on board and seat-selection). I was pleasantly surprised I was still given a window seat up front upon check-in : Seat 8A. Cabin crew were very friendly. They also have a reward program which allows you to use their flight rewards to knock off a couple pounds(£) or pay for other amenities.